So, what's my plan for the day. 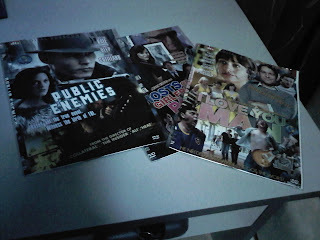 After sahur, and subuh prayer, I plan to have my very own DVD marathon. The house has been cleaned over the weekend and the cuties schooling needs for Tuesday are ready. So, I finally get to relax. If my maths are correct, I should be able to complete before Zohor prayer and then will start to prepare for Iftar. Bubur berlauk...nope, it's not bubur lambuk. Will blog about that later.